Eva Stratis. Mrs. Stratis is the founder of the Montessori School of Pointe Claire. 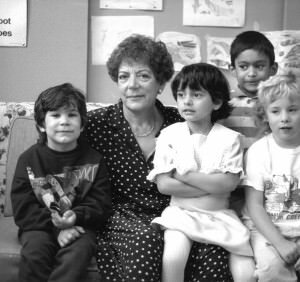 Trained in Athens, Greece, Mrs. Stratis first opened the Montessori School in Pointe Claire in 1965 in a home, and expanded the school to its present location in 1972. Mrs. Stratis’ progressive ideas have made the school the unique establishment it is today. 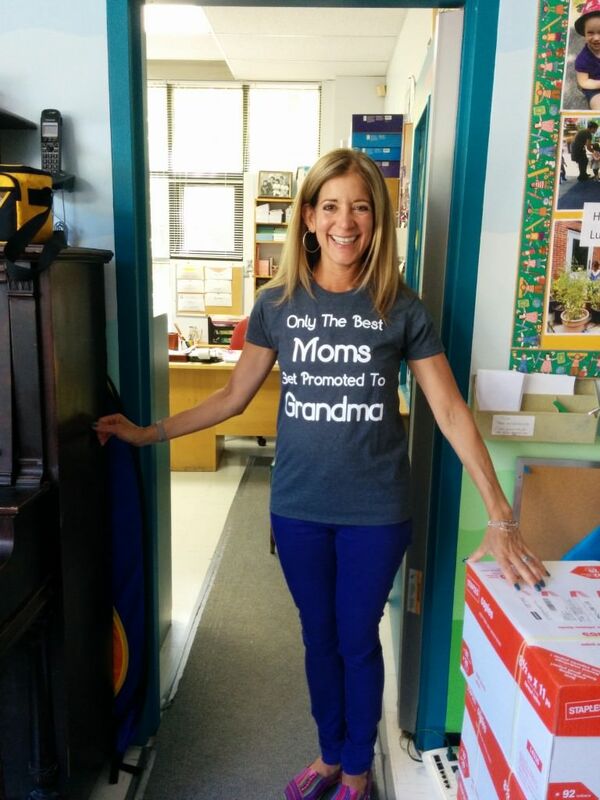 Mrs. Stratis visits the school to this very day and enjoys seeing the children happy in their classrooms. Artemis Erfle. 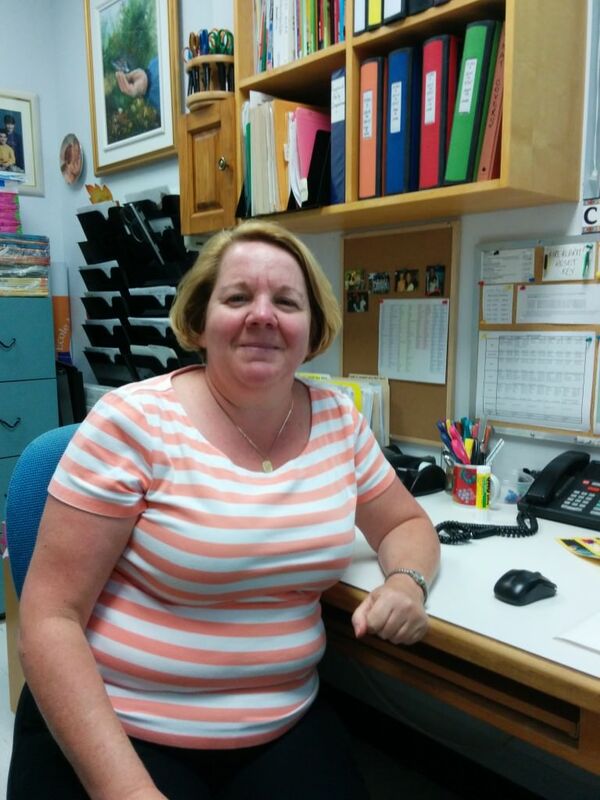 Artemis started as the Assistant Director at Montessori in 1986, and became School Director in the fall of 2000. Artemis is the daughter of Mrs. Stratis and has four children of her own who all attended Montessori. She has her BSc from McGill University and an MSc from Guelph University in Environmental Sciences and taught for five years as an assistant at the University level. 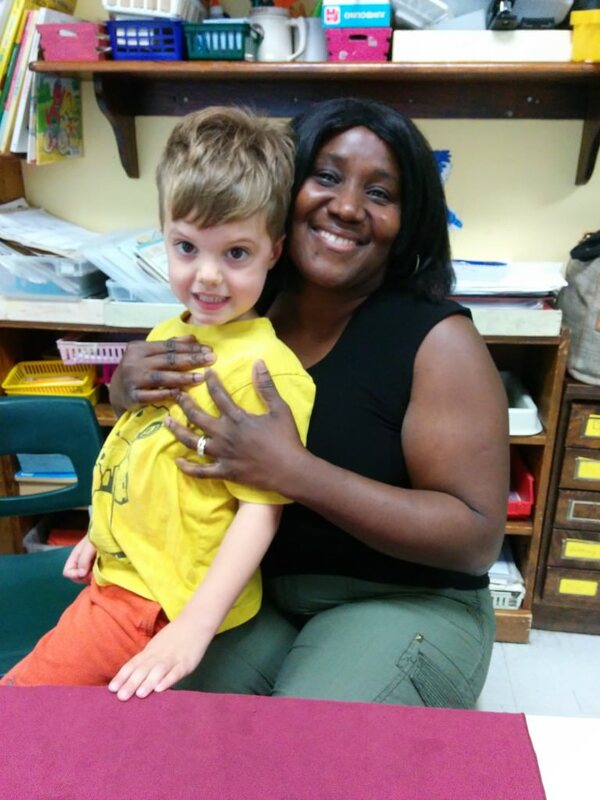 Artemis also has her Montessori Teachers Diploma from the North American Progressive Montessori Teacher Training Centre and has considerable experience teaching Montessori at the preschool level. As Director of Montessori Pointe Claire, Artemis works closely with the teaching and support staff and with the Parent Committee to maintain a creative and positive program at Montessori that meets the needs of the children and parents and is ever-evolving with the times. She is there with a smile to answer questions and help out wherever she is needed. Artemis is also actively involved in promoting sports for girls and women in the community. Her volunteer work includes coaching as well as being involved at the executive level in various organizations, and actively participating in and organising numerous fundraising projects within the local community. Cindy Batten. 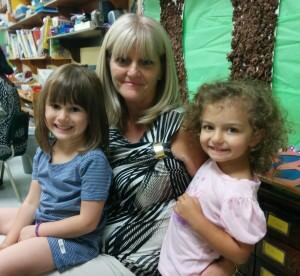 Cindy has been working at Montessori since 2002, and is our Daycare Manager and an invaluable asset to our parents and staff. Cindy has her diploma in Hotel and Restaurant Management; she has a daughter, a son, and a dog. Cindy was a Girl Guide leader for 10 years, worked for many years as a monitor at Northview School, really enjoys being active, and loves her role at Montessori being able to work with staff, parents and children. Parents know that anything they may need they can just “go see Cindy”! Pina Cinciripini. Pina has been at Montessori since 2006. Prior to coming to Montessori Pina worked as a restaurant chef, and also runs her own excellent Italian catering service. We all love Pina’s cooking! Pina prides herself in providing healthy and tasty lunches for the children, and is also an expert at providing special meals for children with food allergies. Pina loves the children and is thrilled to be a teacher’s assistant after her chef’s duties are done in the afternoons. Pina has two sons and three grandchildren of her own and her specialty with all children is lavishing them with love. Pina also has a special program at Montessori where she teaches gardening and baking to the children. Kimberley Beyea. Kimberley Beyea teaches Music and Movement, a fun and interactive music class designed for children, here at Montressori. As well as being an awesome music teacher, Kimberley Beyea is a singer, multi instrumentalist, choir director, sound engineer and song writer. She enjoys playing most styles of music but has a deep passion for jazz, kids and creating new music. Kimberley studied Jazz studies at Concordia University. She is currently recording her third album, a collection of jazzy children’s songs. Adriana Alberga. Adriana started as a teacher at Montessori in the spring of 2000, and has been loved by everyone from her first day here! Adriana has four children and several grandchildren of her own. Adriana works with our pre-kindergarten group. 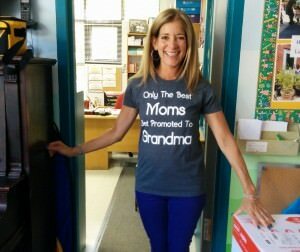 She is organized and helpful and very much appreciated by the children, teachers and parents. Adriana is trained in the Montessori Method and actively encourages the children to use the material in the classroom. Adriana is very creative and prepares some phenomenal arts and crafts projects for the children. love her because she loves to be with them and students and parents alike appreciate her happy personality and her excellent ability to organize her classroom and make every day fun. The parent’s comments about Camille are that she is an “exceptional!” teacher. Gigi Rombersand. 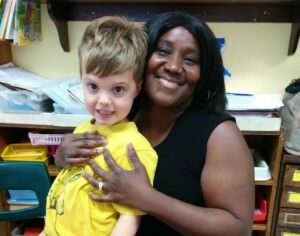 Gigi has been an assistant teacher at Montessori since 2005. 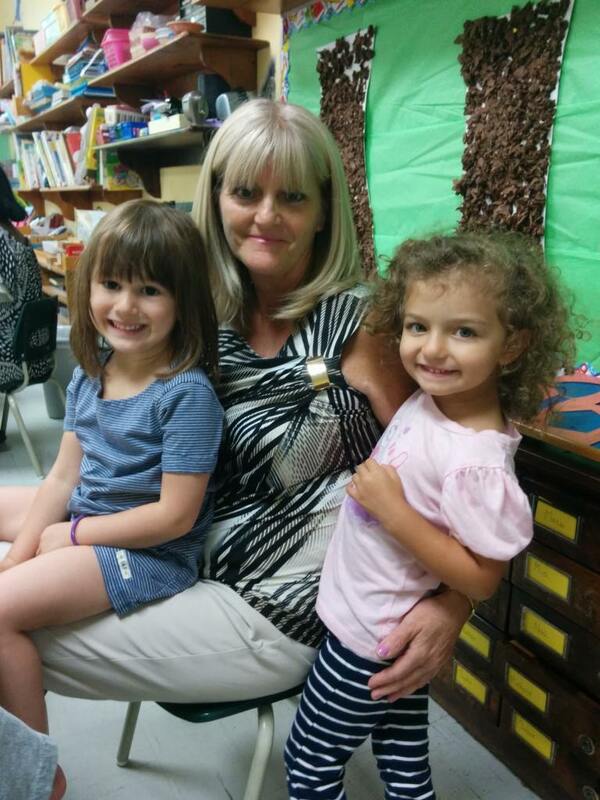 Gigi has two daughters and has a warm and fuzzy personality that makes her a wonderful teacher for our preschoolers. 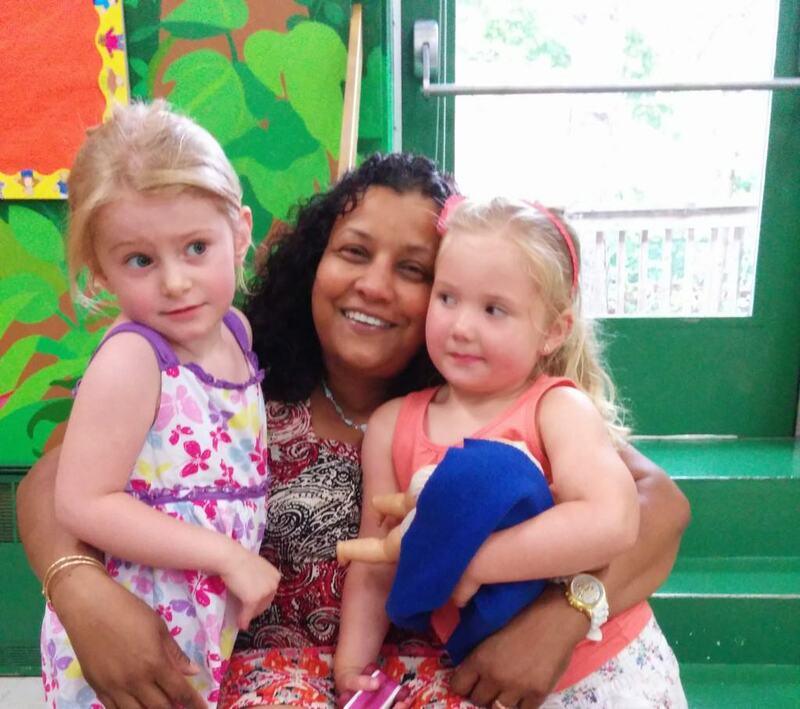 Gigi is an expert at welcoming new children into class and making them feel at home. 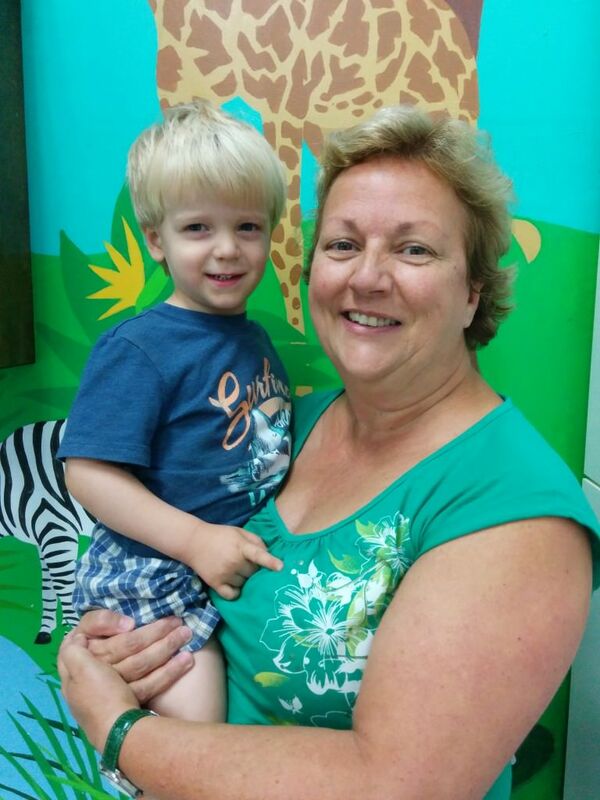 Gigi has been trained with the Montessori Material and enjoys helping the children explore and learn. Herla Joseph. 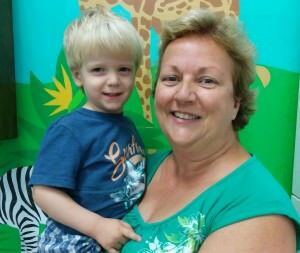 Herla has been a French teacher at Montessori Pointe Claire in our prekindergarten classroom since November 1988 and is trained in the Montessori Method. Herla has both a “Baccalaureat d’Enseignement” and a “Certificat en éducation en milieu de garde” from the Université du Québec à Montréal. Herla has a very positive attitude towards learning and she makes sure all the classroom activities are interesting and enjoyable. Herla especially enjoys promoting science and environmental awareness, and believes in encouraging the children’s curiosity about the world they live in. Herla has a daughter who we also had the pleasure of having as one of our students at Montessori. Lorraine Lepage. Lorraine has been a French teacher at Montessori since the fall of 2000. 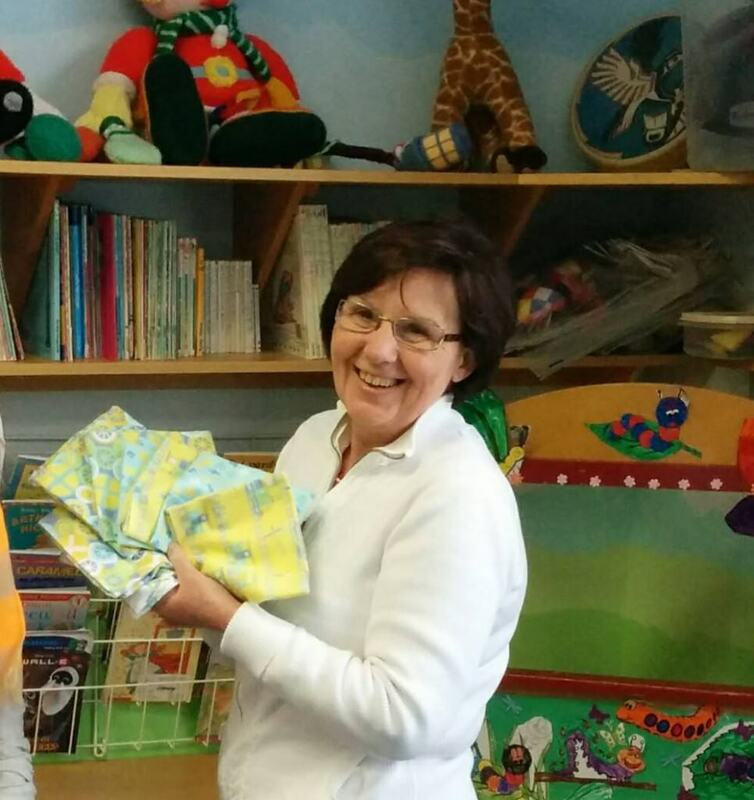 Lorraine’s cheerful personality attracts the children to her and they love playing (in French) together. Lorraine’s specialty is organising games for children; however the children love to play with Lorraine when she takes out her letter and number games. Prior to working at Montessori Lorraine was working with seniors at Manoir Pierrefonds and has her diploma as a Nurse’s Aide. 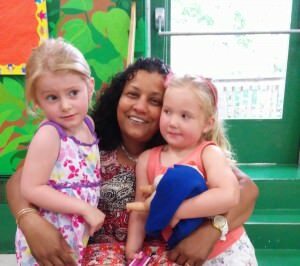 Lorraine has received her training in the Montessori Method and she is devoted to her little ones at Montessori. Nadine Peck. 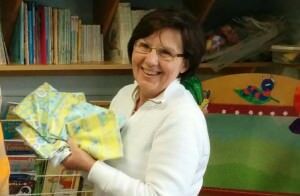 Since 1987, Nadine has been teaching and taking care of children at Montessori. Nadine holds a diploma in social services, and is very dedicated to her work. Nadine has a very mild manner with the children and they find it easy to trust her. Nadine is well trained in the Montessori Method and organizes many stimulating activities for her class. Nadine has worked with all our age groups and is wonderful at understanding the needs of each individual child. Currently Nadine works with our 2 ½ to 3 ½ year-old group. The parents appreciate Nadine’s help in integrating their children into the classroom as well as her helpful advice. In addition to being a senior teacher, Nadine is also responsible for opening the school in the mornings at 7 am. Tanya Angrignon. Tanya has been teaching at Montessori since 2010. 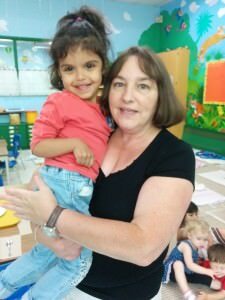 Tanya is a senior teacher with our 16 month to 2 ½ year-old group. Prior to working at Montessori Tanya worked at the elementary school level, with a particular focus on special needs children. 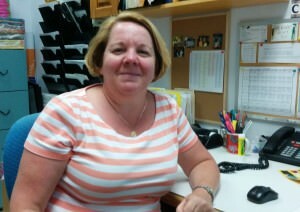 Tanya has 4 grown boys of her own and is thrilled to be working with the children at Montessori. Tanya is extremely sensitive to the children’s individual needs and is excellent at ensuring that the children have the best care at school.